I help people who are serious about their careers and future goals leverage social networks to create online visibility and a reputation of excellence. Career Sherpa.net serves as the umbrella for all the things I love doing: training, speaking, and writing. Delivering presentations and workshops to job seekers and solopreneurs is one of the favorite parts of the work I do. It provides the opportunity to get people thinking about how they manage their careers and online visibility and I get the personal satisfaction from seeing the "a-ha" moments. Sharing the latest trends in job search, careers and social media is a passion of mine. I’ve been featured in USA Today, Money Magazine, Huffington Post, Aol Jobs, LifeHacker, The Daily Muse, Business Insider and Savvy Intern. I’m a regular contributor to US News & World Report and Job-Hunt.org. 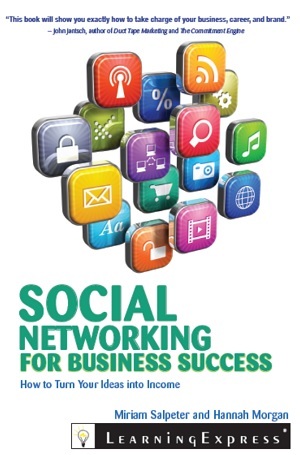 I am the author of "The Infographic Resume" And I've co-authored “Social Networking for Business Success: How To Turn Your Ideas Into Income”. ♦ Co-Founder, Career Navigator LLC. It’s a five-day intensive boot camp for professional level job seekers currently offered through New York State's One Stop Career Centers. Over 7,500 job seekers have participated in the program since it started in late 2009. Some call me motivational, others say I pack a mean, but honest punch. Both sound about right. I help people who are serious about their careers and future goals leverage social networks to create online visibility and a reputation of excellence. I contribute a weekly article to US News & World Report which appears on Money > On Careers section each Wednesday. You'll find savvy job advice from the brains behind top careers blogs, including mine! During my time at RochesterWorks! I developed, delivered and coordinated workshops for the career center. During my last year, I managed all logistics (securing space and marketing) for the launch of the highly successful Career Navigator program. During that year, we delivered over 15 classes and trained over 1,000 job seekers in the Rochester, New York market. The program's most notable achievement was beating the state's average in days to employment. Our job seekers secured new jobs within 50 days when the state average was over 75 days. I was part of the small team that developed the company's first career pathing model and supported managers in transitioning employees during downsizing or termination. Earlier in my tenure with the company, I sold software to businesses, managed lead generation projects, oversaw the administration of telecommunications projects and directed market research interviewers. How to Create a Visual Portfolio That Showcases Your Skills and Lands the Job. What if you could instantaneously distinguish yourself from other candidates? Get hiring managers to immediately take note of your credentials and skills? And ingeniously present yourself as the cream of the crop to hiring managers? There’s a way to do it – and it’s all the hiring rage. Cleverly constructed visual resumes have the power to hire – and great examples go viral. The popularity of visual or infographic resumes are blossoming out well beyond the tech and design fields. Job seekers from every industry are discovering that they offer a unique, visually driven way to communicate experience, interests, and personality in a customized format that grabs attention and sets you apart in a crowded job search. 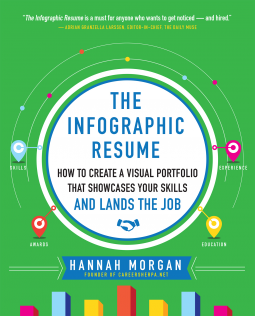 Visual portfolios, sites that auto-generate visual resumes and resume builders, Pinterest boards, customized visual libraries, forums and detailed guides all point to the infographic resume moving from trend to mainstream. With many conflicting ideas presented online and thousands of “get rich quick” schemes available, it is very confusing for the uninitiated to choose the right paths to online business success. Social media practioner with enough knowledge to be dangerous in the implementation of social media strategies for job search. Cutting edge knowledge of job search tools, tactics and strategies used by professionals.